Welcome to St Mary’s, the Parish Church of Fetcham, Surrey and part of the Diocese of Guildford. Our Rector is The Reverend Andrew Smith. Our website aims to provide information on life at St Mary’s; Services, Activ8 (Junior Church), Groups for Men,Women, Families and Youth Activities. There is information on Courses available, who to contact if you need Help and Support, and information on Births, Marriages and Funerals which can be found under Life Events. Click on the menu above to take you to the different areas of the website. 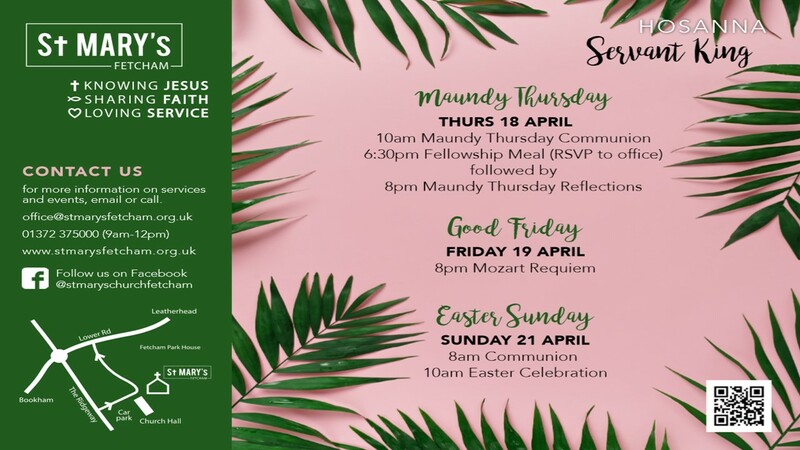 We look forward to seeing you at one of our services and taking part in the activities. If you need a lift or would like to be put in contact with someone to accompany you, please telephone the Parish Office Tel: 01372 375000.